Does this go in Biology or Mechanical? "The Mercedes-Benz BIOME grows in a completely organic environment from seeds sown in a nursery. Out on the road the car emits pure oxygen, and at the end of its lifespan it can be simply composted or used as building material." 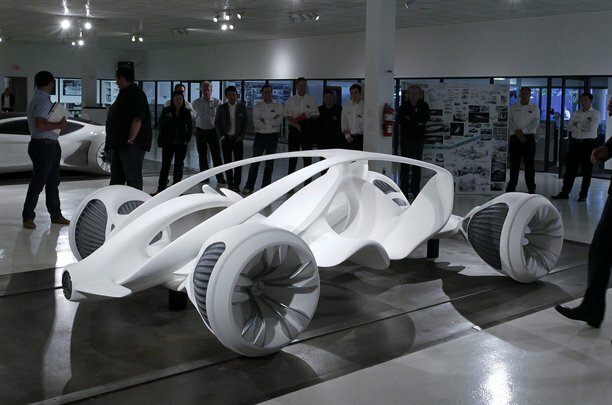 Engineers from the Mercedes-Benz Advanced Design Studios in Carlsbad, Calif., created the car as part of the Los Angeles Design Challenge, which called for a safe and comfortable compact car of the future that could accommodate four passengers, demonstrate good handling and weigh only 1,000 pounds (454 kilograms). The BIOME represents the Mercedes-Benz vision. It is made from an ultralight material called BioFibre so that the finished vehicle, though wider than a typical car, only weighs 876 pounds (397 kilograms). If you think that sounds too good to be true, then get this: The BIOME isn't assembled. It grows from two seeds -- one that forms the interior and one that forms the exterior. The wheels germinate from four additional seeds placed in the nursery. This is a concept car and decades away from production, so don't go rushing to your local dealer asking to place an order. I have gone forth and randomally distributed my seed. What are the nutritional benefits of guava seeds? If they could really get to grips with this and mass produce the techology for other things, then potentially it could eventually change life as we know it. An end to factories and processing raw materials, no more pollution or land fill truely an age of organic technology, yep like the sound of that, with the proviso nothing 'Day of the Triffids' style happens to go wrong. I just wish I could figure out which parts are which and what the heck is it, a fungus? a mold? Does it require sunlight? Do you have to water it? If you need more interior space do you feed it Miracle Grow and set it in the sun? Will it keep on growing? From what I gathered, no on all. Once grown, it's a done deal, like a wooden table, it's dead. But, what happens when it rains? Does it swell up? "Boss... can't make it in..."
"Let me guess... flat tire?" It looks like a publicity stunt. They are trying to get some "green" credentials to counteract their fossil fuel burning bad guy image, like BMW is doing with their hydrogen car. This will never see the light of day. I want to see them grow a wheel or a drive shaft first. Yes that will certainly be interesting, lol. Quite likely, but the push for green is a strong political push. The concept is a cool one. Take a different path? Grow a crystal - same as jet vane- single crystal strand grown through strand size hole become whole mould! Why won't plants grow here?